Piriformis pain from running is a common reason for patients to seek diagnostic evaluation and treatment. Runners are one of the highest risk demographics for piriformis symptoms. In fact, running is considered a direct contributor to piriformis syndrome in many patients. Runners are very hard on their bodies. Runners are well known to suffer a range of activity-specific health issues affecting the feet, legs, joints and spine, including piriformis syndrome. Why does running cause piriformis symptomology or is this conclusion just a myth? This essay details the relationship between running and the development and aggravation of piriformis pain conditions. We will explore the manner in which running can incite pain, the misconceptions about running and the piriformis muscle and the best way to find relief and continue training. Running is hard of the tissues of the body. The postural muscles get a tremendous workout and the piriformis muscle is used as a primary facilitator of running activity. Running is also one of the most efficient forms of exercise, exhausting muscular tissues in a relatively short time period compared to many other fitness activities. It is completely normal for running to cause the piriformis muscle to become temporarily less capable in performing its intended anatomical functions flawlessly due to the accumulation of waste chemicals and the simultaneous reduction in oxygenation to the tissue. Both of these factors can result in the muscle cramping, stiffening and even spasming. When these consequences occur, piriformis pain might result in the tissue itself or the muscle might compress the sciatic and/or pudendal nerves that exist in close proximity. When these nerves are compressed, piriformis syndrome is the diagnosis and also the mechanism by which pain affects the buttocks, legs and/or feet unilaterally or bilaterally. Running is not inherently dangerous or bad for the piriformis muscle or any part of the human body. In fact, despite its risks, running is considered an important fitness activity and a great way to get in shape, stay in shape and excel physically for life. Therefore, running itself is not dangerous to the piriformis muscle. However, in cases where a patient demonstrates a history or piriformis injury or pain, or has a history of piriformis-related compression of the sciatic nerve, then running might be deemed an aggravating factor. Sprinting is generally considered less traumatic to the piriformis than distance running when it comes to creating traditional chronic pseudo-sciatica symptomology. However, sprinting is more likely to cause direct injury and pain in the piriformis itself, causing local symptoms and possibly the facilitating sciatica nerve compression, as well. 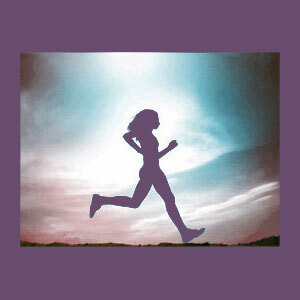 It is possible to continue running even with a variety of piriformis pain problems. It is not advised to run through the pain and ignore the symptoms, as this strategy often backfires and causes even worse suffering, as well as the possibility for lasting trauma to the muscle or nerves. Proper diagnostic evaluation is of paramount importance when it comes to finding relief. Many patients are labeled with diagnoses which make little sense and typically lead to very disappointing treatment outcomes. Remember, when indicated treatment fails, the diagnosis is most frequently to blame. Unfortunately, misdiagnosis remains a very serious problem in the piriformis pain treatment sector.